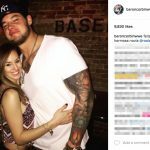 Baron Corbin’s girlfriend Rochelle Roman attended the Dallas Cowboys AT&T Stadium to watch Baron win the Battle Royal. 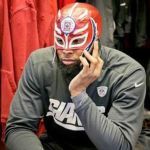 The event took place in April of 2016, and it ushered in Mr. Corbin as a new main roster talent. This type of event introduces new talent because the winner usually receives more opportunities. Rochelle stood only slightly taller than the trophy that Baron won from the event. The metal part itself featured Andre The Giant standing upright. She looked to stand about two or three inches taller than it. 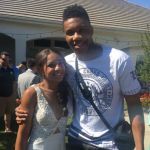 If I had to estimate her height, I’d say she stands about 5’5″. Baron stands 6’8″. 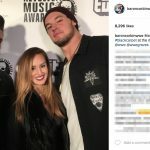 Baron went out with two of his musician friends back in December of 2015. 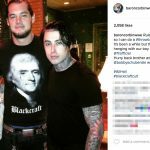 They hung out at a restaurant and took photos, and his friend fooled Baron Corbin’s girlfriend into thinking he took pictures of them while he snapped selfies of himself. That’s modern hijinks for you, folks. The old group photo selfie scam. 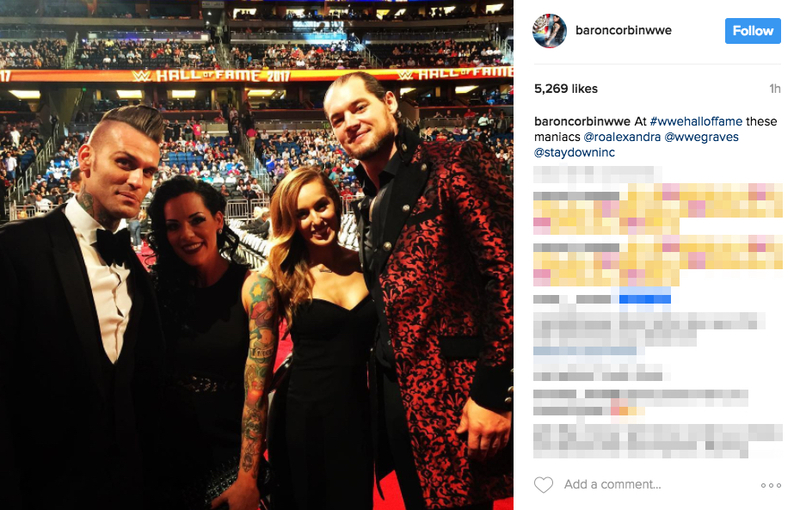 Baron Corbin is friends with a woman named Alicia Way whom attended the hangout. Since she used to play guitar and tour the states, she figures professional wrestling might be fun to try now too! 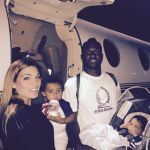 The couple own a huge Great Dane named Xander. Baron describes the dog as a giant goofball since his antics are frequent and comic. They posted a picture of him trying to sneakily creep up on a dinner Baron was eating. The dog is too big to be sneaky though. 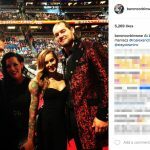 Baron Corbin’s girlfriend frequently attended rock and metal concerts in the early days of their relationship. 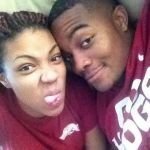 I know this because she stood with him in pictures with musicians after shows. I don’t know if they go to many rock shows now since Baron is increasingly busy in the WWE. Lastly, the couple traveled to Guatemala to pose in front of Tikal Ruins. 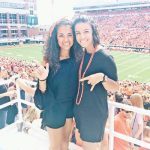 The photo is pretty amazing since the temple itself is so impressive.